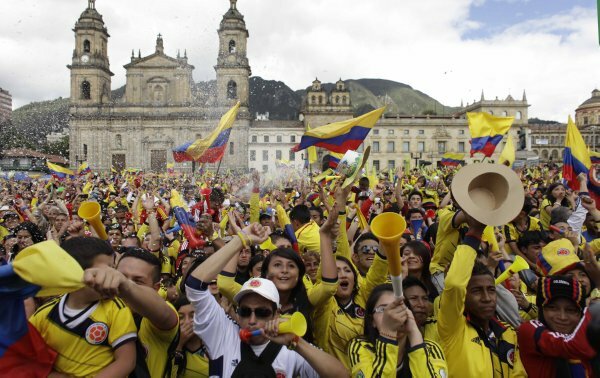 Proof that the entire nation is totally fútbol loco, Colombian president Juan Manuel Santos has officially declared that tomorrow (Friday 4th July) afternoon will be a public holiday in order to allow people to watch Colombia’s World Cup quarter-final against Brazil. President Santos announced that the half-day holiday is specifically to free public employees so they can watch the Brazil tie. Santos’ calls for peace come after at least 10 people were reported to have been killed across Colombia amid the ensuing riotous celebrations that followed Los Cafeteros’ opening World Cup victory against Greece.